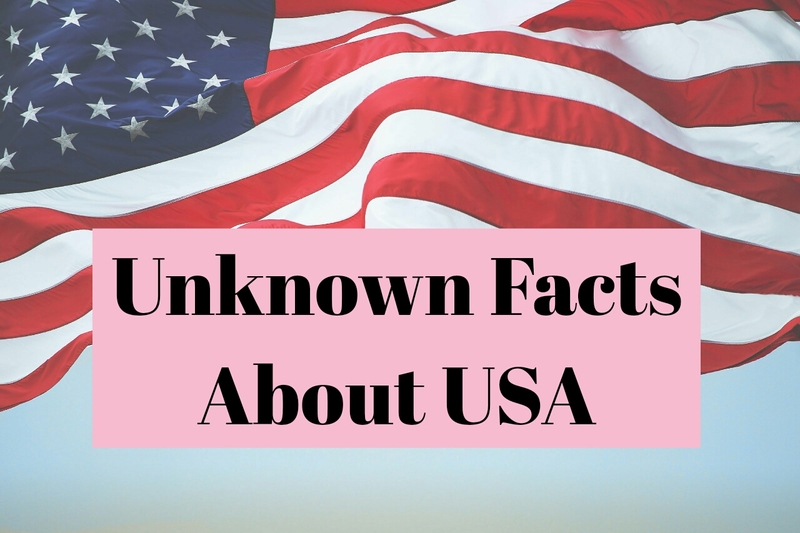 Hope You are quite well.Today we know about some amazing unknown fact about America. The United states of America is also known as United States (U.S) or America. 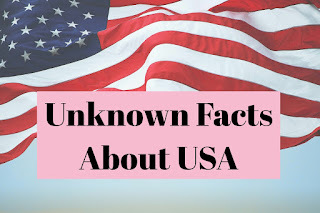 USA is Federal Republic nation with 50 states, a federal district, five major self Governing territories.The United state is the world third -fourth largest country in total area with 324 million people.Washington D.C is capital of United states of America.Now read some Unknown facts abou USA below. 1. One out of every eight people in the United States has been employed by McDonald’s at some point in their lives. 2. Apple has more money than the U.S. Treasury. 3. In Montana, cows outnumber humans 3 to 1. 4. A single American consumes the same amount of resources as 32 Kenyans. 5. The first person to own a slave in America was black. 6. College athletes are are treated like celebrities, but they are actually just students taking part in an extracurricular activity. 8. One out of every three Americans is obese. 9. About 25% of Americans believe in reincarnation. 10. It is legal for kids to smoke, but it is illegal for them to purchase cigarettes. 11. Medical errors are the 6th leading cause of death in the U.S.
12. More presidents were born in Virginia than in any other state. 13. The largest air force in the world is the U.S. Air Force. The world’s second-largest air force is the U.S. Navy and Marine Corps combined. 14. The current 50-star American flag was designed by a 17-year-old as a school project in 1958. He got a B-. Want to explore the beauty of the American West? Get more info about an amazing travel experience to America’s Cowboy Country here. 15.There is enough water in Lake Superior to cover the entire landmass of North and South America in one foot of liquid. 16.the real acme of the American justice system? That would be the basketball court on the fifth floor of the Supreme Court building. It’s known as the Highest Court in the Land. Sources: todayifoundout.com, seagrant.umn.edu, fbi.gov, wsj.com, thewire.com, cafonline.org, nfpa.org, usnews.com, reddit.com, nationalinterest.org, navy.mil, smithsonian.com, knowledgenuts.com, washingtonpost.com, the Mayflower Society. 17. During the prohibition era, the U.S. government poisoned beer, leading to thousands of deaths. 18. Unmarried women give birth to 40% of all babies in America each year . 19. 22 million chickens are consumed in the U.S. every day.